Asiatica Travel finally found Mr. Don's family (Dơn) at Kim Noi village in Mu Cang Chai as one of our unique's products. On arrival to Mu Cang Chai, in the heart of a landscape of green rice fields, you will be greeted by Don and his wife with a glass of traditional tea. 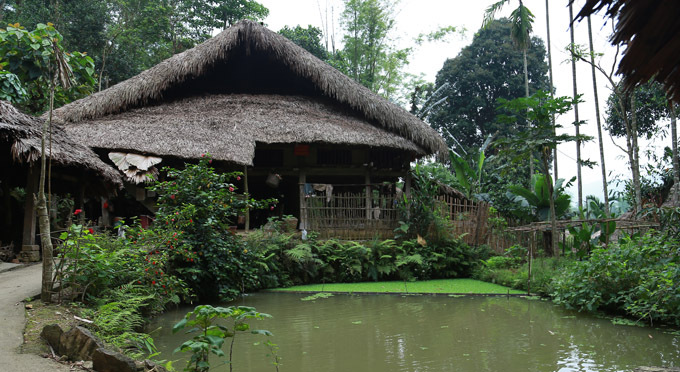 From this beautiful traditional house, you can admire the magnificent view of the rice fields. 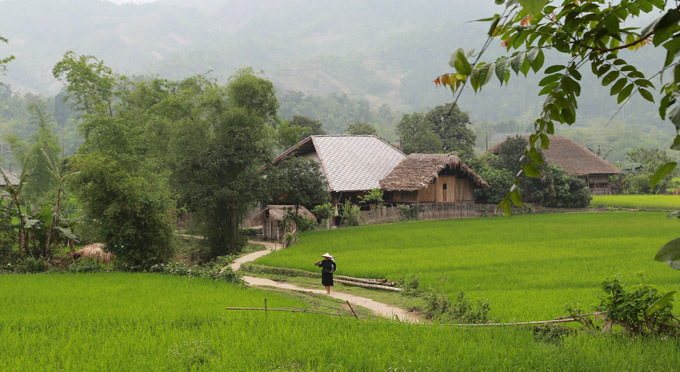 A useful advice for you, do not hesitate to take a little time to stroll around the charming village of Kim Noi, which is mostly inhabited by the ethnic Hmong. 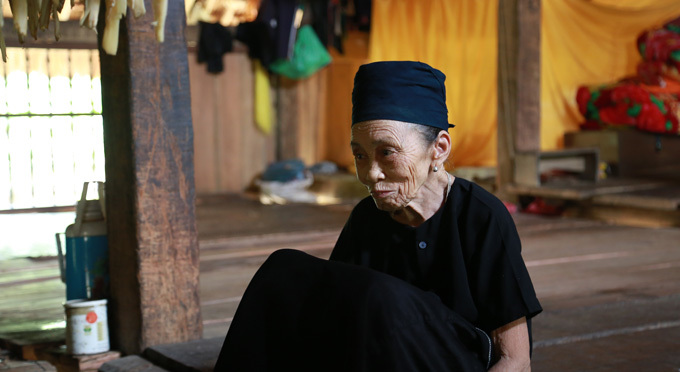 Don and his wife are among the only ethnic Thai families in this village. Then savor a dinner served in the traditional way on the floor by sitting on small flat cushions. Honestly admitted, the dinner prepared by Madame Don is a real success! It is also very copious! Do not forget the traditional glass of rice alcohol offered by Don at the beginning of the dinner. 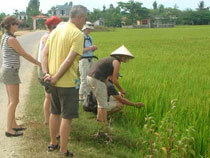 Where is Mu Cang Chai? 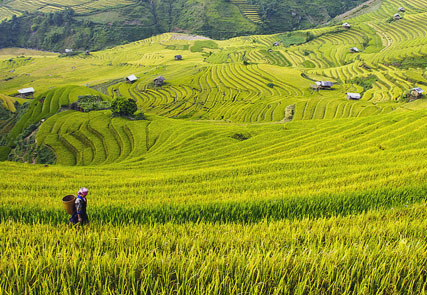 Located at 1000m altitude in the Yen Bai province in northwestern Vietnam, Mu Cang Chai is considered the centre of the most beautiful rice terraces in Vietnam. 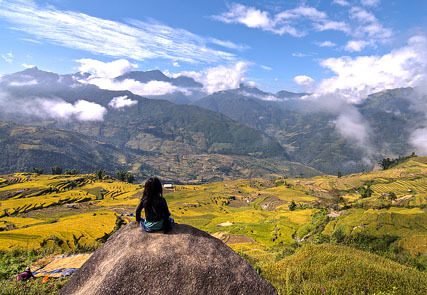 In Vietnamese, "Mu Cang Chai" means very mysterious and remote. It is the reason why tourists are very few here. 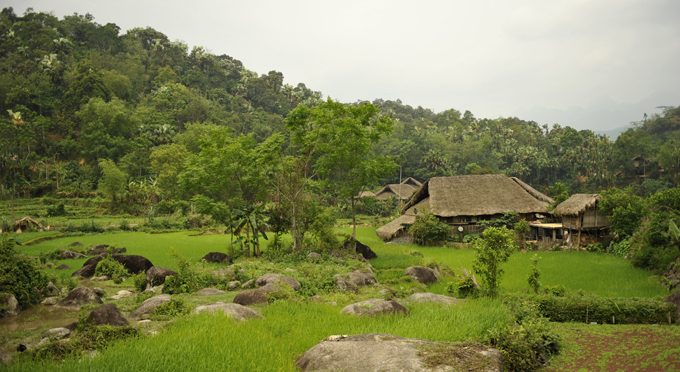 This beautiful region constitutes the habitat of the Hmong and Thais. 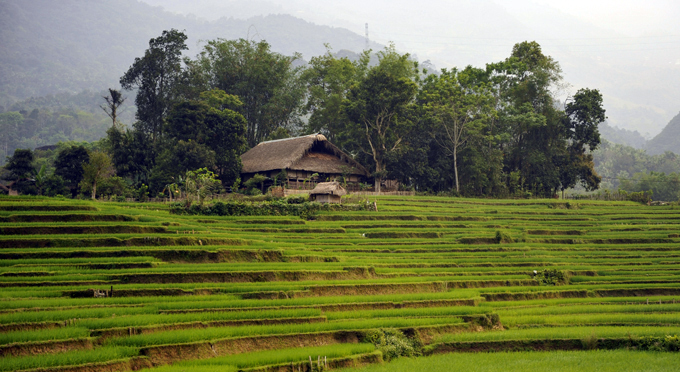 Their houses are hung among clouds, terraced rice fields and colorful vegetable gardens. They live there in perfect harmony with nature for centuries. 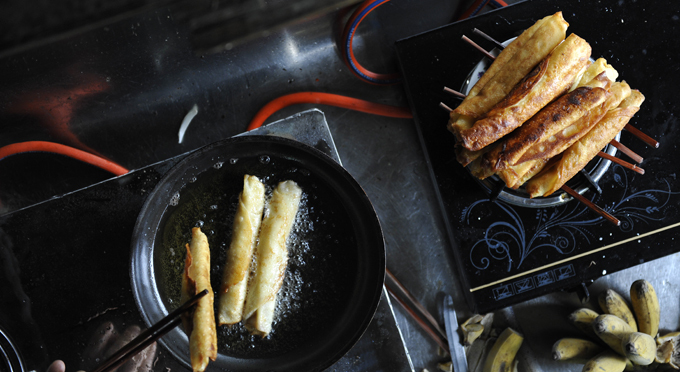 Why choose Mu Cang Chai? 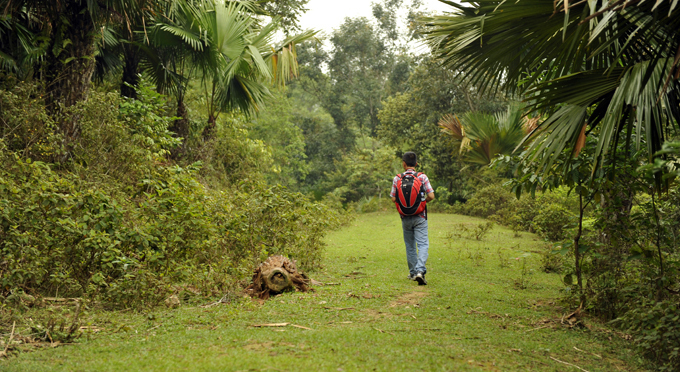 This area is like a Sleeping Beauty fascinated by all those who are passionate about pristine nature. It is known for the finest rice terraces in the world on the slopes of mountains now classified as national natural heritage. 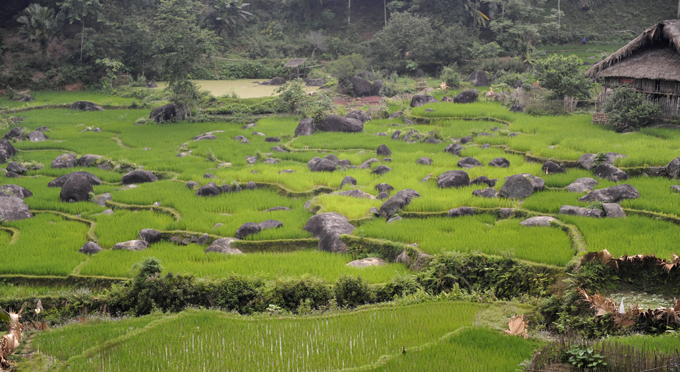 These rice paddies are most beautiful during harvest periods (May - June and September - October) when rice begins to turn yellow. A true paradise on earth! The original culture of ethnic minorities highlights this favorite destination. Each has its own customs and traditions. 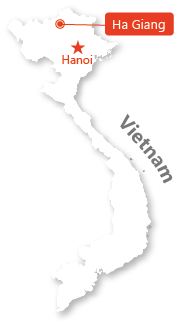 The Thai are dominant, then the Hmong, the Dzao. Mu Cang Chai remains very wild and little visited. 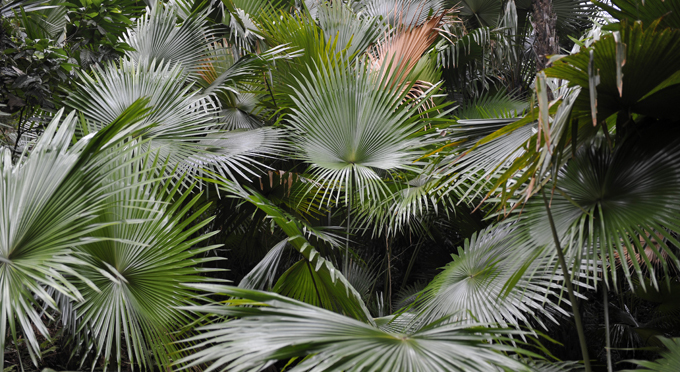 You can therefore avoid the tourist crowd in big cities and blend with nature. You will meet several ethnic groups who are still preserved from their customs and through walks, you will approach their villages and their daily life. This place deserves an ideal destination for those who desire for the discovery of unknown lands.